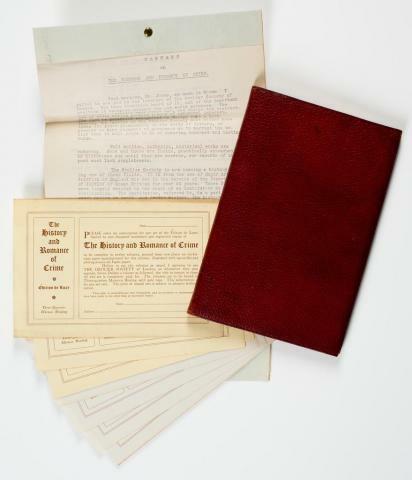 The Society holds a strong collection of salesman's samples or dummy books, which have also been called "blads." These specimen books were used by the itinerant agents of subscription publishers to entice customers to agree to purchase a copy of a work in advance of delivery. This form of marketing was common in America during the years just before and after the Civil War. It was unlike the phenomenon of the same name in the eighteenth century, when subscription publishing was used to finance or at least to assure the success of an edition prior to printing. A typical specimen book of the nineteenth century consists of sample sheets in a sample binding. Sometimes these sheets are in a prepublication state and thus may have bibliographic interest. 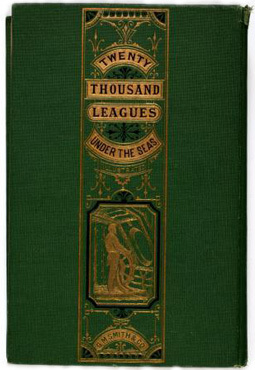 A customer could choose among alternative styles of binding, and a sample book usually includes the spines of available styles mounted inside the covers. The sample book might also include a printed prospectus describing the virtues of the work or edition with recommendations from well-known persons. Most specimen books also include blank forms on which the salesman entered the names, addresses, sometimes occupations, and the number of copies his subscribers agreed to purchase. Subscription forms can provide demographic information on book ownership, if not on actual readership. The Society holds over 750 salesman's sample books issued before 1900; about 350 of these were issued before 1877. Most of the early ones date from the 1860s and 1870s. The collection includes dummies of four first editions of works by Mark Twain. Closely related to the salesman's dummies are prospectuses, pre-publication descriptions of books, newspapers and magazines, which list the title of the item, the publishers, and the terms of publication. Sometimes they are also subscription papers, but more often they are only announcements of forthcoming publications. Many are single sheet items and are thus found in the Broadsides collection. Complementing this collection are collateral materials on the subscription business, including several agents' manuals that give explicit instructions on sales methods and biographies and autobiographies of book agents. Book salesman's samples are fully cataloged in the General Catalog under the genre term "dummies." The related collection of prospectuses is fully cataloged in the General Catalog under the genre term "prospectuses." A typescript by Marcus A. McCorison, Publishers' Sample and Canvassing Books Issued Prior to the Year 1877 (Worcester, Mass., 1997) annotates AAS holdings in Keith Arbour's Canvassing Books, Sample Books, and Subscription Publishers' Ephemera 1833-1951 in the Collection of Michael Zinman (Ardsley, N.Y., 1996).